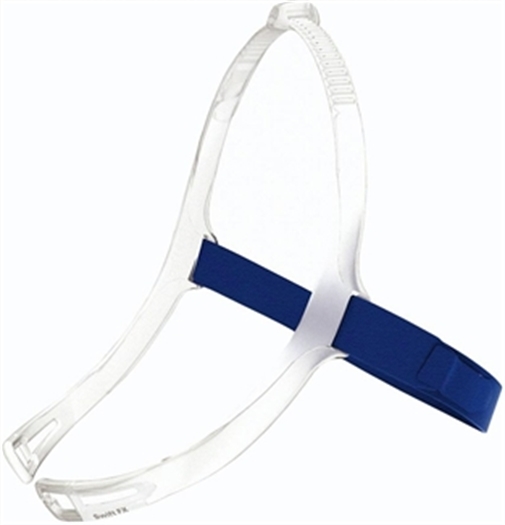 This headgear is for the Swift FX Nasal Pillow Mask only. This product does NOT include the mask system and pillows. The minimal design is simple to use, with only 2 points to adjust: A low-profile backstrap and buckle on top. The backstrap is a Lycra-based material with Velcro fasteners. The top buckle is incorporated into the headgear and uses a set of notches for easy adjustment. This streamline design helps foster a sense of freedom and promotes early CPAP acceptance. It is recommended to clean the headgear once a week with warm water and mild detergent. Be sure to rinse thoroughly and lay flat to dry.